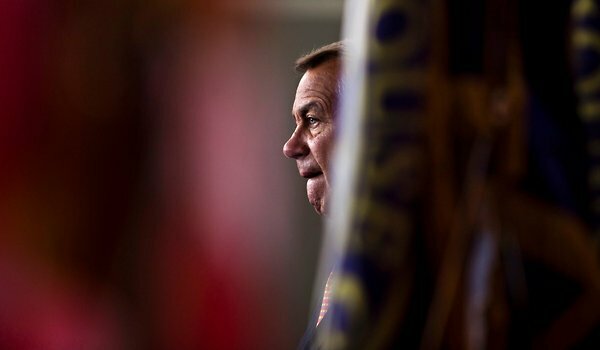 Speaker John A. Boehner of Ohio predicted Monday that the House would pass legislation to renew a payroll tax cut and curtail extra jobless benefits. WASHINGTON — It’s an image many Americans would find rather upsetting: a recently laid-off millionaire, luxuriating next to the pool eating grapes bought with food stamps while waiting for an unemployment check to roll in. Yet as it turns out, millionaires on food stamps are about as rare as petunias in January, even if you count a lottery winner in Michigan who managed to collect the benefit until chagrined officials in the state put an end to it. But the idea of ending unemployment insurance for very high earners — which would be achieved essentially through taxing benefits up to 100 percent with a phase-in beginning for those with gross adjusted income over $750,000 — demonstrates an increasing desire among members of Congress to find some way to make sure that the wealthiest Americans contribute more to reducing the deficit and paying for middle-class tax relief. Democrats have sought a surtax on income over $1 million to pay for an extension of a tax break for the middle class, a surtax that Republicans have rejected. Employees’ share of the payroll tax, now 4.2 percent of wages, is scheduled to rise to 6.2 percent in January unless Congress takes action. The Senate is expected to come back this week with another version of its bill to extend the tax holiday. On Monday night, the majority leader, Senator Harry Reid, Democrat of Nevada, served notice to Congressional Republicans that he would prevent final votes on a must-pass bill to finance government operations until the Democrats get what they want on the payroll tax. While tycoons on food stamps might be hard to find, some millionaires do indeed pursue unemployment pay when they find themselves out of job. From 2005 to 2009, millionaires collected over $74 million in unemployment benefits, according to an estimate by Senator Tom Coburn, Republican of Oklahoma, who has paired with Senator Mark Udall, Democrat of Colorado, to push to end the practice. According to Mr. Coburn’s office, the Internal Revenue Service reported that 2,362 millionaires collected a total of $20,799,000 in unemployment benefits in 2009; 18 people with an adjusted gross income of $10,000,000 or more received an average of $12,333 in jobless benefits for a total of $222,000. “Making Coloradans pay for unemployment insurance for millionaires is frankly irresponsible, especially at a time when money is tight and our debt is out of control,” Mr. Udall said in an e-mail. Unemployment benefits are essentially an insurance program financed through the state and federal governments. States charge employers taxes dedicated to cover the first 26 weeks of unemployment benefits paid to those Americans who lose their jobs, with the federal government paying for extensions. Currently, unemployment benefits have stretched out to 99 weeks, through a series of nine extensions that began in 2008, reflecting the high levels of extended unemployment that have dogged the country, at a cost of roughly $180 billion to the federal government. (While there are also federal taxes charged to employers, those monies tend to be used for administrative costs and not benefits.) Roughly 3.5 million people are now receiving extended benefits. Some states have already begun to reduce the number of extended weeks unemployment offered. The Republican legislation seeks to shorten the number of weeks that will be extended to the jobless, and offer states more flexibility with how they use their own unemployment taxes, including starting programs that train people for work while they accept benefits. Food stamps are another matter, as recipients must demonstrate low income levels to receive them. Household income must not exceed 130 percent of poverty; for a family of three that would be a gross monthly income of $2,008. However, of the 53 states and territories, 40 have no asset tests, which means that in some situations it would be possible for someone with, for instance, a large house or a luxury car — or in the case of Michigan, current lottery winnings not yet delivered in full — to receive food stamps. Among the 46 million Americans who receive the assistance — roughly one in seven Americans — few seem to be millionaires. As such, the $200 million in savings from this cut would be largely achieved through the cuts to the unemployment insurance for high earners. Copyright 2011 The New York Times Company. Reprinted from The New York Times, National, of Tuesday, December 13, 2011.